Voc-Tech school is designed to bring vocational and technical training to its students. Such skills become highly valuable to students entering into a vocational or technical field without first obtaining higher education. DepED-ARMM has 17 Voc-Tech High Schools which had been identified, along with 5 regular NHS, by BEAM-ARMM to be placed under its project component for TVET managed by Mr. Peter Belen. Assessment and evaluation of these secondary schools by BEAM-ARMM has been going-on. With the advent of the internet age and the social media which have been easily accessible practi-cally by everyone, not only students, learning foreign languages is becoming more inviting. Having only one foreign language is now considered a ―drawback in the global arena , so much so that highly technical jobs in foreign countries are very much appealing to our students. DepEd started offering the SPFL to pilot public high schools in the school year 2009-2010 when foreign language classes in Spanish, French, and Japanese were opened to third and fourth year students. Classes in German were offered the following year. This coming 2011-2012 School Year, DepEd is set to offer classes in Mandarin and Arabic. In DepED-ARMM, the ARMM Regional Science High School in Maguindanao-II Division is the only one that has curriculum offering for SPFL. It has more than 200 students enrolled in Spanish Language class. One secondary high school has a pending request to offer Arabic which the BSE OIC presented to chief of BSE-Central in a convergence meeting earlier this month. To provide more support to the K to 12 Program, the RAPC was organized. 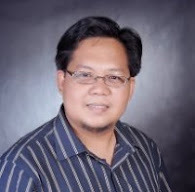 It is composed of the Directors for Elementary, Secondary, Alternative Learning System and Madaris Education, plus the RAMSEA and Planning Division to serve as management committee which will perform pro-gram and project implementation on curricular, co-curricular and extra-curricular programs of the department. This is a great formula for team building and team learning where everybody involved in program delivery is on board and collaborates with each with-out boundaries and with great synergy. The Committee is required to meet monthly for feedback and regular updating of each other in each of the Bureau's work plan and implementation. Around 450 Grade 2 teachers from the division of Sulu attended the Regional Mass Training held last July 15-24, 2013 at the Notre Dame Review and Learning Center, Kasulutan Village, Jolo, Sulu. This is consonance with the full implementation of Grade 2 curriculum under the K to 12 Basic Education Program for the School Year 2013-2014. Bongao, Tawi-Tawi (July 8, 2013), 281 Grade 2 teachers have been trained on the K12 Curriculum. The participants came from 17 school districts of Bongao, Simunul, Sibutu, Sitangkay, Panglima Sugala, Sapa -Sapa,Tandubas, South Ubian and Languyan municipality. They converged in two different batches at Rachel`s Hotel and Restaurant, Lamion, Bongao, Tawi-Tawi. The last training batch was exclusively conducted for the district under the Mapun and Turtle Island Municpalities, which was conducted at Cecilles`s Pension House, Tumaga, Zamboanga City. Forty-eight DepEd-ARMM participants together with three Teacher Education Institute (TEI) participants attended Training of Trainers (TOT) at Teacher’s Camp and Baguio City NHS, Baguio City and UPNISMED, UP Diliman, Quezon City on April 12 to 21, 2013. Training of Trainers (TOT) aims to prepare for the conduct of the Mass Training of Grade 8 teachers (2nd year high school) across the region. A total of two-thousand six-hundred fifty (2,650) Grade 8 teachers are to be trained from the ten (10) divisions. After the trainers' training, the Bureau of Secondary Education (BSE) of DepEd-ARMM spear-headed the trainings of Grade 8 teachers. The first batch of 490 Grade 8 trainees from Lanao Sur IA, Basilan and Lamitan City was trained at Cotabato City State Polytechnic College (CCSPC) on April 29 to May 3. This was followed by the second batch of 500 plus Grade 8 teachers from sixty -six (66) national high schools of Lanao Sur II division. The week-long training was completed on May 10, 22013. Also in May, another partner TEI, Notre Dame of Jolo College, started to train 135 Grade 8 teachers covering Science, Math and English subjects. These teachers come from Sulu Division. The Mass Training of Grade 8 teachers had a different scheme in comparison to the Mass Training of Grade 2 teachers. In Grade 8, there was a critical cooperation from service providers or Teaching Education Institutes (TEI). These TEIs had served not only as a venue but also as an opportunity for teacher’s accreditation to a 3-unit course equivalent to the Training Certificate. DepEd-ARMM and Mindanao State University (MSU) Marawi City team up for the implementation of K to 12 program in community high schools network of the MSU system. Some six hundred (600) high school teachers attended the training from June 3 to 7, 2013. After the mass training of Grades 2 and 8 teachers for year 2 implementation of K to 12 Enhanced Basic Education Curriculum, the dissatisfaction of middle Instructional Managers and Instructional Leaders became stronger, saying that they have not undergone sufficient training on the new curriculum for them to be effective in monitoring and supervising the teaching-learning process. Reports of clashes and disagreements between the teachers who were trained and the principals who have inadequate knowledge of K to 12 became more evident especially on matters relative to assessment procedures. Educational leaders argued that they should have been the first to undergo rigidly training before the mass training took place. Thus educational authorities saw the imperative need to train the school heads, principals, district supervisors, division supervisors, superintendents and assistant superintendents. Hence, the National Training of Trainers on Managing Teaching and Learning on the K to 12 Curriculum was conducted on September 3-6, 2013 at EcoTech Lahug Cebu City. Pursuant to DepED-Central memorandum No. 157, dated August 27, 2013, each region shall have a team of trainers compose of regional supervisors and one each from the divisions. To this effect DepED-ARMM sent 13 participants to the said ToT. The details were provided in Regional Memorandum No. 160, dated August 30, 2013. Regional team and division coordinators of the Region-wide Assessment for Math, Science and English (RAMSE) converged in Davao City on June 3, 2013, for a week-long training to deepen their analytical skills in data inter-pretation. Aside from RAMSE re-gional and division coordinators, other participants included those from the Regional Policy and Planning Division and BRAC Philippines. In 2012, the RAMSE expanded its subject coverage to include Arabic, thus, it is now called RAM-SEA. RAMSE started as a project-funded initiative but under the current administration, it is now now run and funded entirely by DepEd-ARMM. The RAMSE data helps to inform policy decision and programming. This training is supported through the AusAID -funded BEAM-ARMM Program. Dr Ken Vine, an education re-search specialist, was the lead trainer for the duration of the training. He also trained participants on how to use the Statistical Package for Social Science (SPSS) software. English (RAMSE) converged in Davao City on June 3, 2013, for a week-long training to deepen their analytical skills in data interpretation. Aside from RAMSE regional and division coordinators, other participants included those from the Regional Policy and Planning Division and BRAC Philippines. In 2012, the RAMSE expanded its subject coverage to include Arabic, thus, it is now called RAM-SEA. RAMSE started as a project-funded initiative but under the current administration, it is now now run and funded entirely by DepEd-ARMM. The RAMSE data helps to inform policy decision and programming. This training is supported through the AusAID-funded BEAM-ARMM Program. Dr Ken Vine, an education research specialist, was the lead trainer for the duration of the training. He also trained participants on how to use the Statistical Package for Social Science (SPSS) software. While Grades 1, 2, 7 and 8 teachers have undertaken summer training program; division and district supervisors and school heads require a different form of K to 12 orientation, one akin to their supervisory functions. K to 12-trained teachers also require additional, more in-depth sup-port on pedagogy and assessment. DepEd-ARMM and BEAM-ARMM officials also met with DepEd-CO officials to insure complementation and avoid redundancy of intervention. In coordination with DepEd-ARMM Regional Office, the BEAM-ARMM Program conducted a 7-day initial module development workshop to frame the training content, methodology and evaluation. During the workshop, there were inputs on brain psychology, child development (for elementary pupils) and youth development (for secondary students); instructional supervision under K to 12; RAMSE analysis and implication to K to 12 implementation and school-based management as it relates to K to 12 implementation. The outputs from this workshop are: modules for the training of trainers, for division and district supervisors, school heads and master teachers, grades 1-2 and 7-8 teachers. The modules will aid them as they will be oriented with the K to 12 approaches. The Bureau on Alternative Learning System in compliance to the Education for All (EFA) is opening the registration for Accreditation and Equivalency (A&E) test takers from July 4 to August 2 for the exams to be administered in October this year in 17 regions nationwide. Administered by its Bureau of Alternative Learning System (BALS), the A&E is a paper and pencil test which used to be known as the non-formal education test. A&E is designed to measure the competencies of those who have neither attended nor finished elementary or secondary education in the formal school system. Passers of the A&E are given a certificate/diploma, signed by the DepEd secretary, certifying the passers’ competency as comparable to the graduates of the formal school system. Targets of the A&E are school drop-outs, those who have not attended the formal school system, homeschoolers, or others who have not finished basic education but are basically literate. The A&E registration, administration, and certification are provided free by DepEd-ARMM..
For S.Y. 2013, DepEd-ARMM has 3,388 completers and 1,922 had taken the A&E examinations. 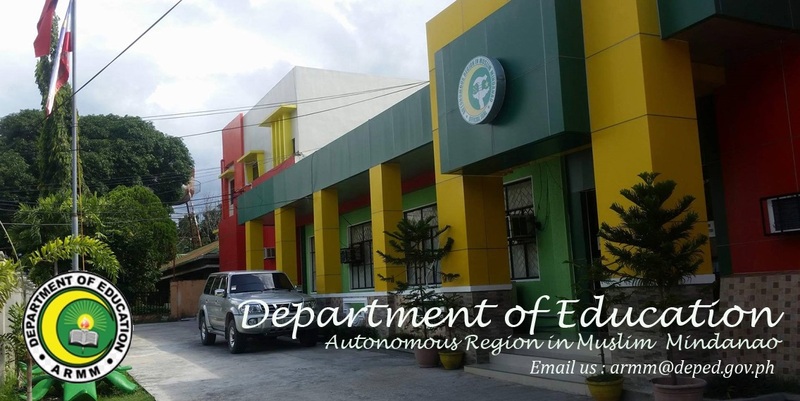 Under the current administration, the Bureau of Madrasah Education (BME) of DepEd-ARMM introduced another program to live up to its mandate under the Expanded Organic Act. This new and third focus is called as Da’wah and Transformation Program (DTP). The Da’wah and Transformation Program was developed to support moral recovery thrust of the current ARMM leadership as critical aspect of sustaining the reforms. Among the 400+ Arabic teachers employed by DepEd-ARMM are prominent ulama who can be tapped to lead in the spiritual development and moral transformation. It also aims to translate the precepts of peace building among Muslims in the ARMM and DepEd’s 4Ms (illustration below) through contemporary articulation of the Prophetic model. * Spiritual Development and Renewal through Ihtikaf (Group Retreat), Ikram (Service), Ijtima’ (Annual Congregation), etc. * Islamic values integration across the K to 12 curriculum with Arabic teachers serving as mentors to subject teachers.